Egypt national team manager Javier Aguirre has called up 11 foreign-based players for the Pharaohs’ encounter against Tunisia in the 2019 AFCON qualifiers. The Pharaohs have already secured their place in the AFCON tournament in Cameroon following back-to-back victories against eSwatini and a 6-0 victory over Niger. Their only loss in the qualifiers came away from home against The Eagles of Carthage, who have also qualified for the final tournament with four wins from four. Despite both nations ensuring their place in the 2019 AFCON, the game will not be considered as a dead rubber, as both teams will aim for the top spot. Javier Aguirre, who will want to prove himself in his first real test as the Pharaohs manager, has named a nearly unchanged squad from the one that was called up for the eSwatini double-header. 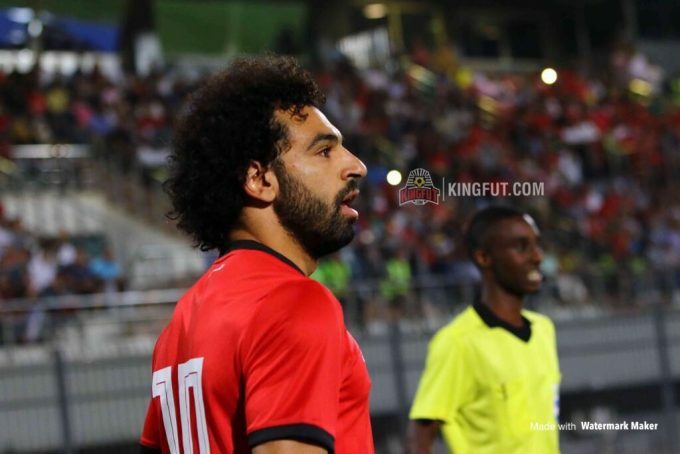 Ahmed Hassan Kouka was the only player to be omitted from that squad after picking up an injury against eSwatini, with Ramadan Sobhi continuing on missing out. Al Ahli Jeddah duo Abdallah El-Said and Mohamed Abdelshafy, and Mahmoud Shikabala of Apollon Smyrni also didn’t make the cut. On the other hand, Mohamed Salah will lead the squad alongside Mohamed Elneny, Ahmed Hegazi, Ahmed Elmohamady, and Mahmoud Trezeguet. The game will take place at Borg El-Arab, Alexandria on Friday, November 16. Mohamed Awad (Al Wehda), Ahmed Hegazi (West Bromwich Albion), Mohamed Salah (Liverpool), Mohamed Elneny (Arsenal), Sam Morsy (Wigan Athletic), Ahmed Elmohamady (Aston Villa), Amro Tarek (Orlando City), Aly Ghazal (Vancouver Whitecaps), Mahmoud Trezeguet (Kasimpasa), Amr Warda (PAOK), Hussein El-Shahat (Al Ain).